We are called the tequila sentries around the world. Around six million agaves are sowed by Centinela House, among two thousand hectares, located in the region of Los Altos, Jalisco. We are proud to be founders of the first tequila factory of the all region, also to preserve the great tradition process. During more tan seven years, agaves are strictly cared and supervised. Every day the called jimadores, recollect about four thousand agave pineapples, which are baked in big masonry ovens during 48 hours slow simmering. Unlike modern process, this process helps to obtain the abundance of sugars and robust afave juices. Later, the tear machine flakes the agave; the obtained juice is poured and fermented with isolated, cultivated and exclusive house yeasts in big saucepans; Centinela analyze this process under strict quality standards. We have sophisticated technology to process the liquids in stainless stills with cooper coil, used by the best beverage distilled companies, and we are one of them. The Tequila Blanco is obtained by double distillation. The Tequila Añejo and Reposado, we conserve them in 56 thousand of american oak barrels distributed around the biggest tequila cellar, the Tequila Centinela one. 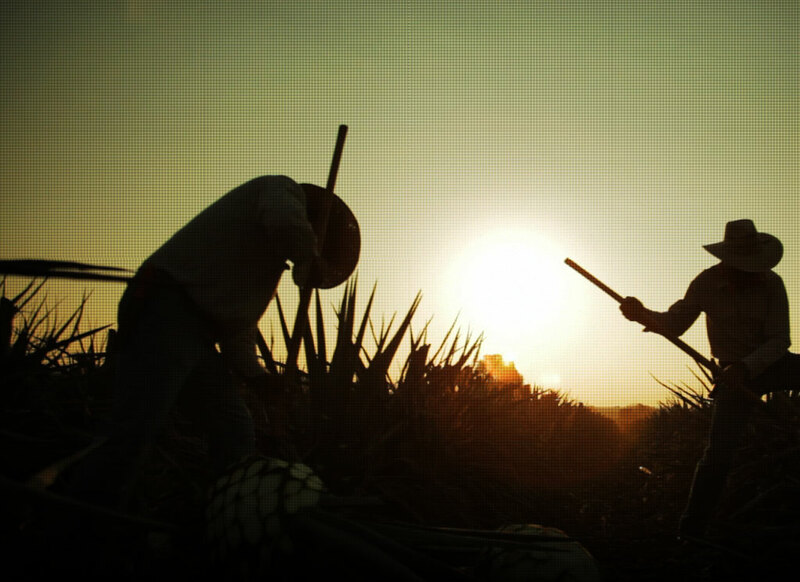 We are not only tequila makers, we watch, guard and protect it.